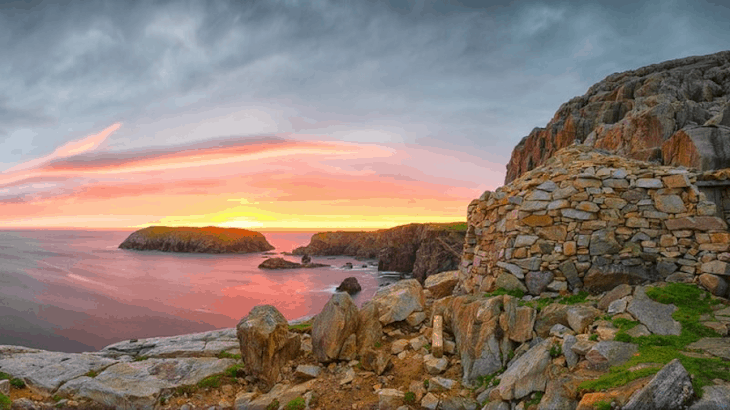 The Mangersta Bothy was built with stone and wood into the side of the Mangersta cliffs, on Uig on the west coast of the Isle of Lewis. It was constructed almost 30 years ago by John and Lorna Norgrove. A bothy is a simple shelter – it does not have electricity, running water, or a toilet. When the Norgroves were building it, no one was interested, nor did others see it as much other than a waste of time and energy. However, over the years it’s attained a life of its own, and people now come from far and wide to stay here. The bothy can accommodate up to three people. It has a sleeping platform suitable for two ‘friendly’ campers, and a third person can sleep on the stone floor. 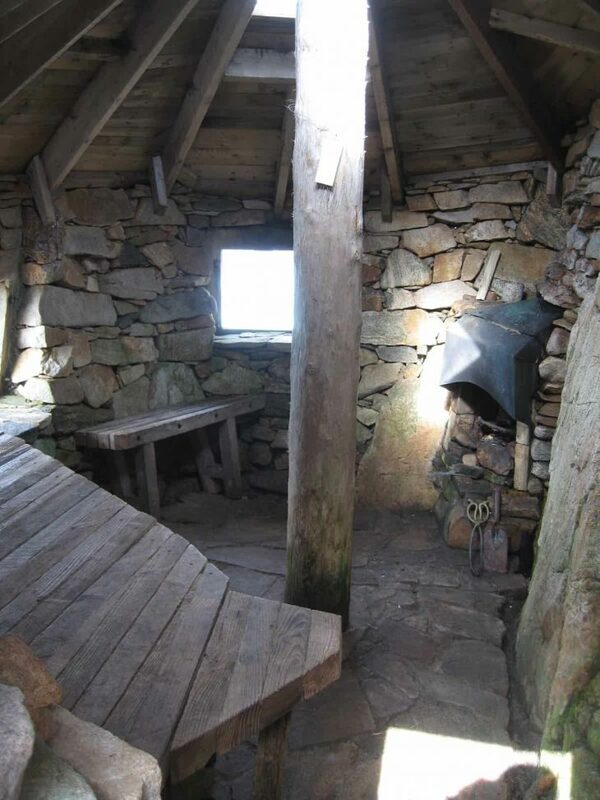 Bothy users can use an outside toilet, which has hot and cold water, near to the house. The bothy is available for anyone to stay in, but please let us know in advance in case a particular night is already booked. There is a high demand from spring to autumn so bookings are usually restricted to one night. In winter, it is usually possible to stay for a couple of nights, depending on availability. There’s no charge to stay at the bothy, but we suggest that donations can be made to the Foundation. If you would like to stay, please contact us by using the form below.